The tenth largest state in the United States, Oregon exemplifies the beauty and wildness of America’s Pacific Northwest. 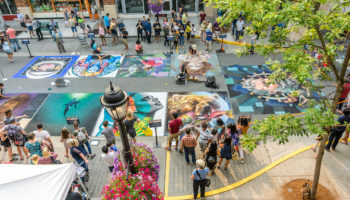 While there are many cultural venues in Oregon worth exploring, it’s the state’s diverse landscapes that draw many travelers to this corner of the country. 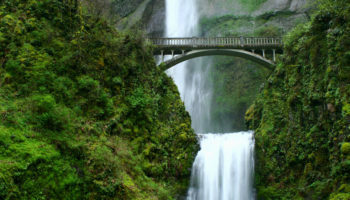 From rugged shorelines and thick verdant forests to towering volcanic mountains and steep river gorges, Oregon’s natural attractions are simply breathtaking. Just a few miles east from Portland lies the vast U-shaped corridor known as the Columbia River Gorge. Formed by cataclysmic Ice-Age floods, the miles-wide valley stretches for more than 70 miles (110 km) along the Columbia River on Oregon’s northern border. Built in the early 1900s, the Historic Columbia River Highway takes visitors past dozen of waterfalls tumbling down the valley’s steep walls. Whether visiting in the autumn when the surrounding forests are draped in fall color or during the spring when wildflowers burst into bloom, the Columbia River Gorge offers spectacular vistas in every season. Located in the northeastern corner of Oregon, Wallowa Lake is nestled within the soaring Wallowa Mountains, also known as “The Little Switzerland of America.” The Wallowas were once home to the Nez Perce Indians until Gold Rush prospectors drove them out, and the nearby town of Joseph is named after their famous chief. A swimming beach, a boat launch and a broad array of cabins and campgrounds make the lake a favorite summer vacation spot for families. Located near Wallowa Lake is an aerial gondola that visitors can ride to the 8,000-foot (2,400 meters) peak of Mount Howard. Pronounced “yah-hots,” the small town of Yachats is situated at the foot of the 800 foot (250 meter) high Cape Perpetua on the Northern Oregon Coast. 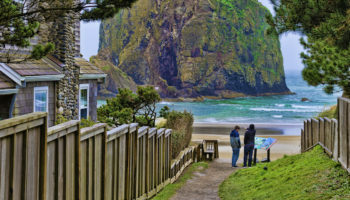 The tiny village is a popular destination for travelers who want to enjoy all of the unspoiled beauty that Oregon’s coastline offers, minus the crowds. Rocky tidal pools and small pocket beaches lie just outside the city’s boundaries, and visitors can often spot gray whales swimming close to shore in the spring. Within the Cape Perpetua Scenic Area above Yachats are 26 miles (42 km) of hiking trails and a public campground. Located near the small town of Joseph in northeast Oregon, the Hells Canyon Recreational Area outranks the Grand Canyon when it comes to depth. Parts of the canyon surrounding the Snake River are as deep as 8,000 feet (2,400 meters). With few paved roads leading into the area, most visitors opt to enter the canyon by jet boat, although some trails are accessible with four-wheel-drive vehicles. Touring the canyon on a whitewater raft is a popular activity. Overnight horseback trips into the canyon are available as well. The tallest peak in Oregon, Mount Hood is much more than just a stunning backdrop for the city of Portland 60 miles (100 km) away. It’s a travel destination that attracts visitors all year long. Five downhill ski areas and miles of cross-country trails keep the slopes of Mount Hood packed during the winter, and summer snowfall attracts visitors to Mount Hood for off-season skiing as well. For experienced mountaineers, climbing to the summit of Mount Hood is another popular activity. The historic Timberline Lodge, which was used for exterior shots in the movie “The Shining,” offers great views of the Southern Cascades. 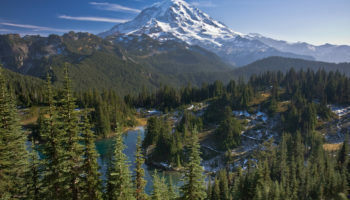 One of the best ways to experience the beauty and splendor of Oregon’s Cascade Mountains is by touring the Cascade Lakes Scenic Byway. 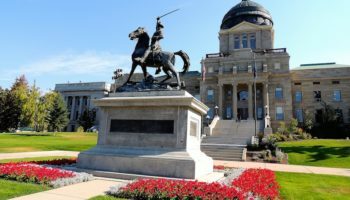 The 66-mile (106 km) route winds along river valleys, up mountains and past scenic lakes, offering visitors picturesque vistas and an abundance of recreational opportunities along the way. The route begins in the city of Bend, climbing into forests of ponderosa pine towards Mount Bachelor. Views of lakes formed by ancient lava flows quickly come into view, each offering activities like swimming, fishing or boating. The route ends at the winter resort community of Sunriver. The historic city of Astoria lies just a few miles southwest of the spot where explorers Lewis and Clark spent the winter of 1805-06 before returning to the East. Five years later, John Jacob Astor founded Astoria, making it the first United States settlement on the West Coast. Situated at the mouth of the Columbia River, the city’s backdrop is the scenic Astoria-Megler Bridge, the country’s longest continuous truss bridge. Attractions in Astoria include the wave-shaped Columbia River Maritime Museum, which features 30,000 artifacts of the Pacific Northwest’s seafaring history. 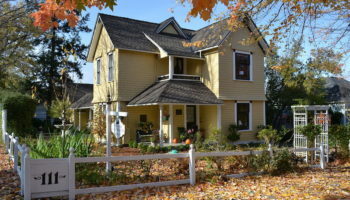 The region’s unique Victorian architecture is best represented by the multicolored Flavel House built during the 1880s. 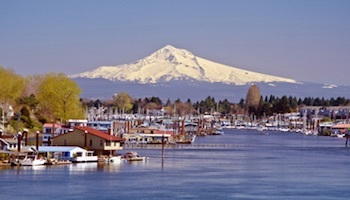 Oregon’s largest city straddles the Willamette River near the point where it meets the mighty Columbia. 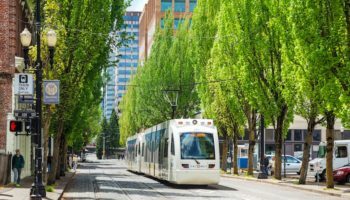 With Mount Hood in the distance and the Pacific Ocean just a short drive away, Portland is surrounded by natural beauty, and it’s clear by the sheer number of parks, gardens and green spaces in Portland how much the city’s inhabitants value the outdoor life. 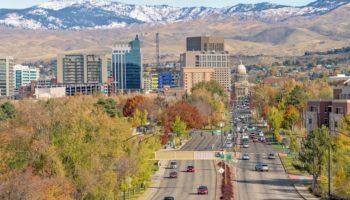 The city’s ever-changing dining, music and art scenes are worth experiencing, and visits to the city’s quirky museums are fun too, but for many visitors, it’s venues like Forest Park and the International Rose Garden that make “The City of Roses” one of the best places to visit in Oregon. The most popular natural attraction in Southern Oregon, Crater Lake is what remains of a volcanic eruption that occurred on Mount Mazama 7,700 years ago. With a depth of nearly 2,000 feet, (600 meters) it’s the deepest lake in the United States, and its tranquil sapphire-blue waters are a sight to behold. With 90 miles (150 km) of trails winding through the national park, the area is a hiker’s paradise. The 33 mile (53 km) long Rim Drive offers less adventurous visitors many scenic overlooks. A guided boat tour of the lake and its central island is a must. 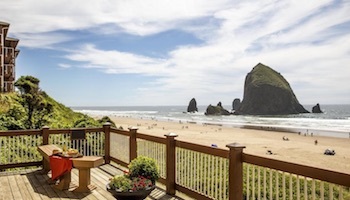 Named after a cannon that washed ashore after a shipwreck, Cannon Beach is one of the most popular of the seaside resorts that stretch along Oregon’s 300 mile (480 km) long coast. 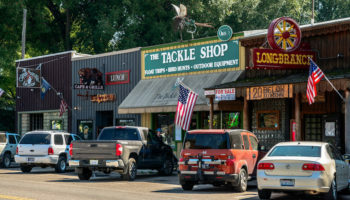 Located around 80 miles (130 km) to the west of Portland, the once-rustic artist community has grown into an upscale resort filled with restaurants, boutique shops and art galleries. In-town attractions include the Cannon Beach History Center, which features an authentic reproduction of a Native American longhouse. The most striking feature about the beach itself is the 235 foot (72 meter) high Haystack Rock, the largest of the monolithic rocks that dot the sandy shoreline and provide a nesting ground for sea birds. To the north of Cannon Beach is Ecola State Park which offers a multitude of hiking trails of all levels and some of the most stunning Oregon Coast views anywhere. Which destination do you consider the best place to visit in Oregon? Wow, Crater Lake looks beautiful! I’ve always heard about it but now that I’m traveling to Oregon I might actually get to see it! I’m trying to find the best places to stay on southern Oregon coast and I would just love to find something close to this area! Thanks for listing all of these cool things I should see on my trip! 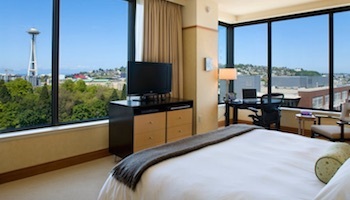 I am planning to visit Oregon including Portland .Your selection of sites and tips are very useful.